- Brightest Flashlight available - Guaranteed! 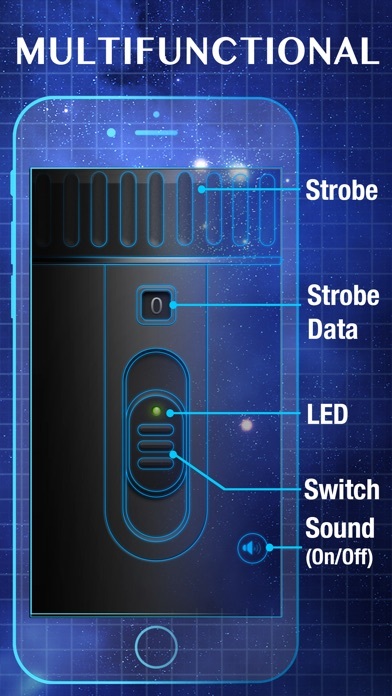 - Convenient - Switch On/Off the light just like using a real flashlight - Strobe/Blinking Mode supported - Blinking frequency adjustable - Stunning graphics - This is the most beautiful flashlight you can get in hand! Enjoy! Disclaimer: Continued use of the flash may dramatically decrease the battery life. I love this app, but there’s a problem. When I turn the phone off or get out the app, the light turns off. Although, the blinking of the light is... useful. Still, I would love some improvements. when you turn the phone off, I want the light to stay. That’s it, thank you! Love this app. It’s so easy to use & comes in so handy at odd times. I’ve used it to change the thermostat in the middle of the night without turning lights on & to see if my cat is underfoot on my way to the kitchen. I highly recommend it. 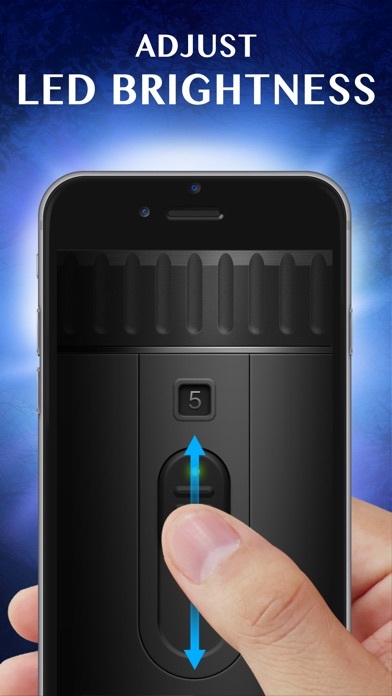 Downloaded the flashlight app because as a auto mechanic. Can never have too many flashlights. Unfortunately for me, my father had taken the flashlight that was working when I needed it. So I figured why not download a flashlight app so I always have a flashlight on me. Works very well for work/everyday use. Only downside is it can really use up your battery life on the phone. This is an awesome flashlight. It is handy and always available! Never have to hunt down my flashlight or make sure to keep batteries in the portable one this one is readily available. I love it! Great app it has proven to be handy at work, home and at play! Quick and easy, always works, no keeping on trying to get it to open as with the my iPhone. I like the brightness of the light! Having a flashlight app has been so helpful. This light is ready when I need it and does a great job at casting a bright light when I have to walk outside or inside in the dark. Highly recommend it for safety and convenience. I use this app fairly often and it always works great. Very handy for when I need a flashlight. I needed a fresh slate today and they said seem to do a great job I was able to put the light on and see what I was doing so I give it five stars thank you very much. This is a very practical app to have on one’s phone. I have been in situations without a flashlight, and this has come to my rescue. It is functional, reliable, and gets the job done with minimal phone resources. 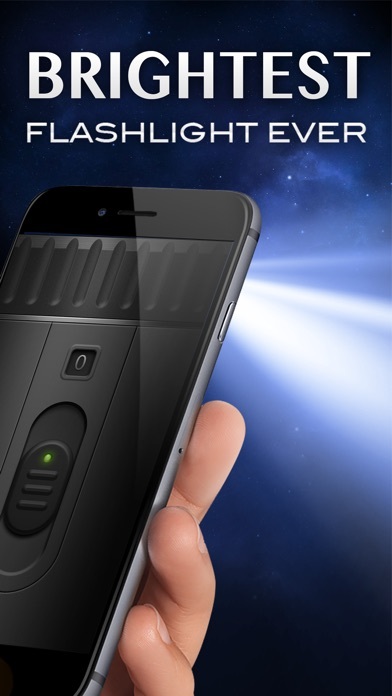 Great emergency flash light. Works every time and the price is right! Many thanks to the programmers!!! Pretty good. Could be better if it came on automatically when you click on the app. 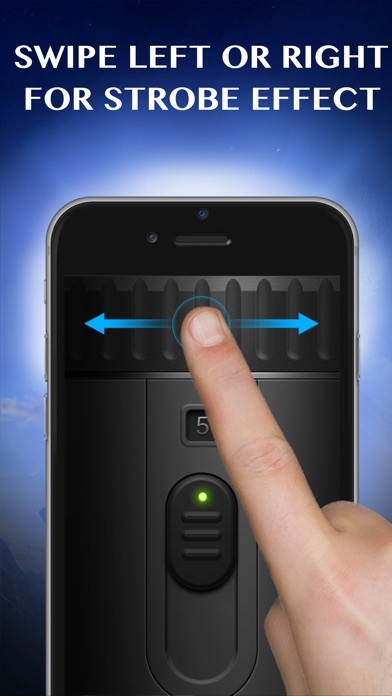 That's all I want in a flash light app. I had an app that did that years ago. Now I can't find one that does that. I use my flashlight for safety. This flashlight does an awesome job of lighting up and showing what I need to see , keeping me out of treacherous situations. It comes on fairly quickly about also, not like other Apps that can take up to 30 seconds. slow to open. Very slow. I have nothing but good things to say about this app. The light is clear and gives a wide arc of illumination, which I welcome on the walk from my car though the woods to the house. Great for after dark dog walking and, in one sad instance, roadside light. Always reliable and, in the rare times I’ve lost power, it’s more than enough to light a portion of the room and use for reading. Couldn’t be happier. Flash only works half the time. When I open the app the switch clicks but the light doesn’t come on. Excellent flashlight. Quick act comes with clicking sound when pushing power on. Really cool. Highly Recommend to anybody. Light is fantastic! App has not failed me yet. I've had it for years and on different IOS devises. This flashlight is very easy to use. App works fine, but why does it take a 26 Mb app to simply turn the phone’s led on and off? Shuts off sometimes when In app so some glitches. 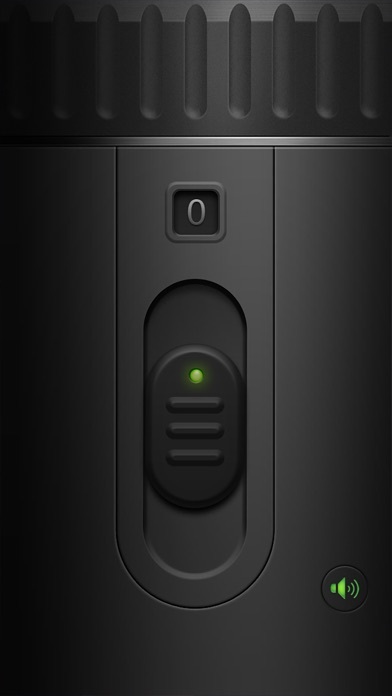 They have started putting the Groupon ad down at the bottom of the flashlight. I go to the bathroom several times each night and use the flashlight app. I must of hit, “buy” in the middle of the night. It was a deal for a restaurant in Alabama! I live in Florida! Groupon will not refund my money($15.00)!!! I want my money back and I am deleting this app. You get a one. I gave you a five before doing the Groupon BS. This flashlight has been very dependable.